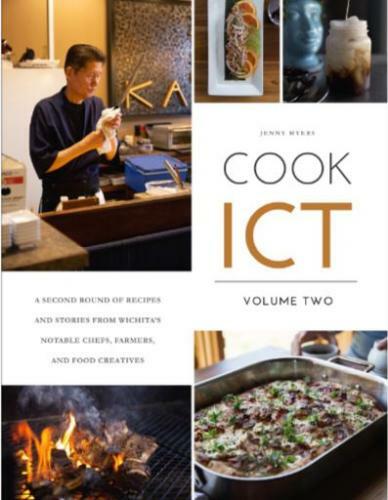 Cook ICT Volume 2 is now available! recipes and stories from Wichita's chefs, farmers, breweries, and local food creatives. Cook ICT 2 goes deeper into Wichita's history with recipes and stories from tradition, expirimentation, and success. Favorites of Wichita including Public, Doo-Dah Diner, Elderslie Farm, Kanai Sushi, and Little Saigon are just a few of the restaurants featured.